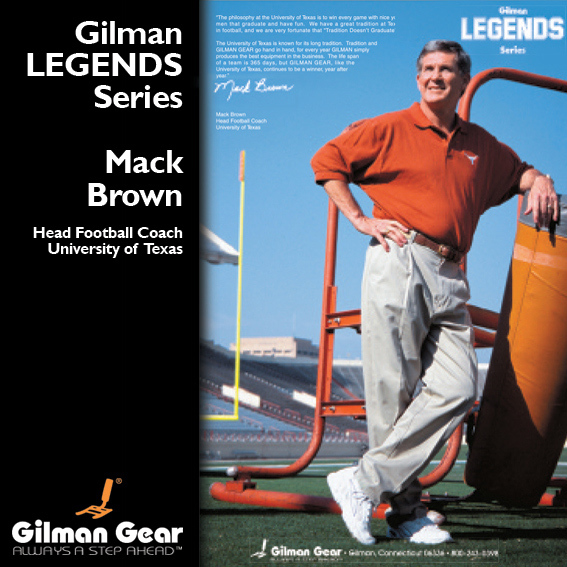 The Gilman Legends Series showcases the nation's finest football coaches. Each poster carries a philosophical quote from the coach himself. Draw inspiration and motivation from their words of wisdom. Hang them in your classroom or coach's office. All Gilman Legends posters measure 12" x 18". These are legendary and Hall of Fame coaches providing you with words of wisdom, the pearls of their many years experience as only the best of the best coaches can.